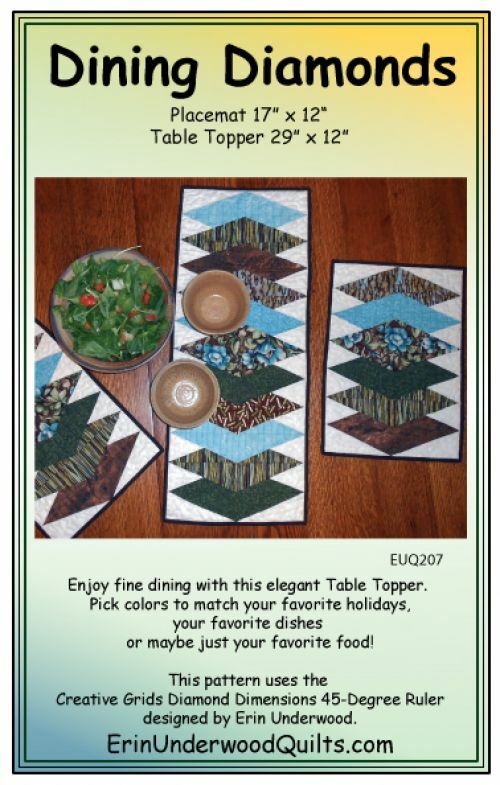 Enjoy fine dining with this elegant Table Topper. Pick colors to match your favorite holidays, your faborite dishes or maybe just your faborite food! This pattern uses the Creative Grids Diamond Dimensions Ruler designed by Erin Underwood.